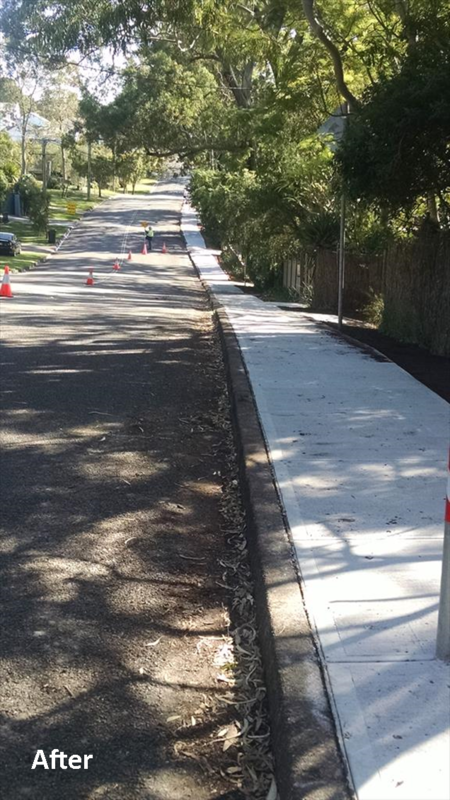 One of our major ongoing projects aims to reduce our reliance on motor vehicles by indentifying and enhancing safe and efficient connections for walkways and cycling throughout the neighbourhood. Brighton Avenue (between Ambrose and Jarrett Streets) was identified as a major priority, where pedestrian access needed to be improved in our neighbourhood. 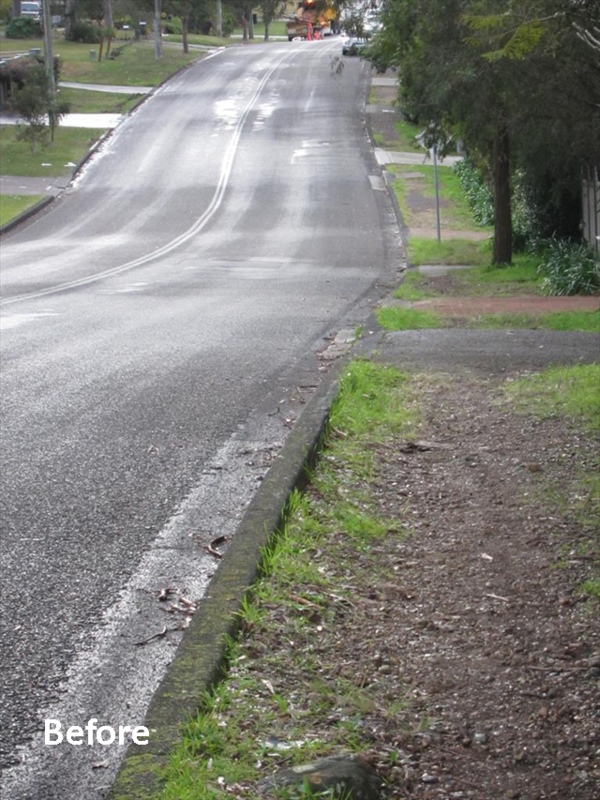 The route along this strip is undulating and hilly, and without a footpath, there was a high risk to pedestrian safety. In partnership with the Coal Point Progress Association, the TASNG applied for funding from a number of sources to contribute to progress the construction of this important footpath link. 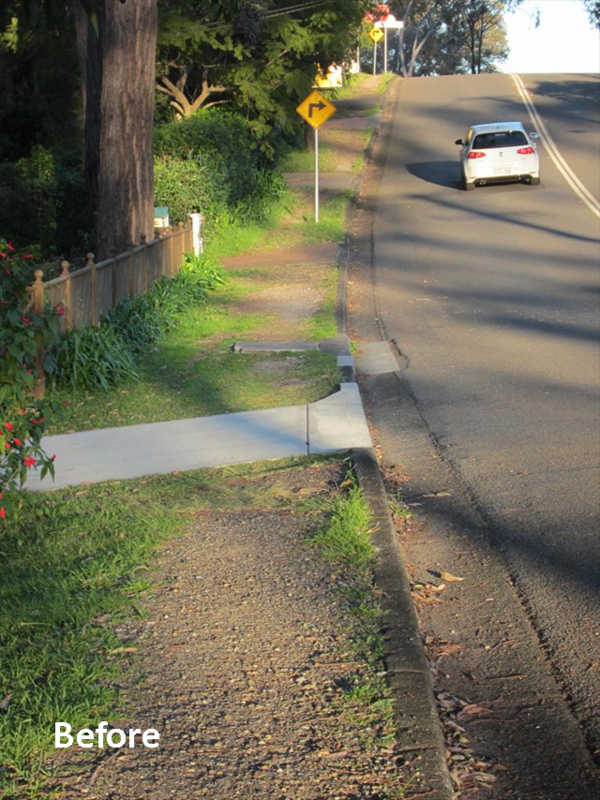 We received a grant form the Community Building Partnership Program (NSW Government) to contribute to the cost of the footpath link. Our original plan proposed a construction option utilising crushed gravel, as it is a low cost and environmentally sound option. However, the nature of the route, and other factors, meant that in this case a standard concrete footpath was more suitable. 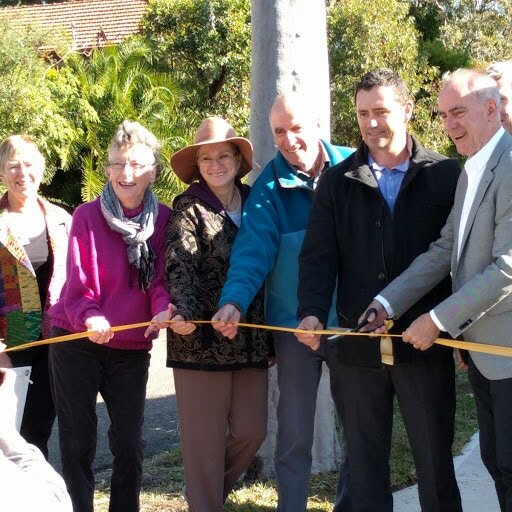 With the grant fund contribution, Council completed construction of the footpath in June 2017, and we held a launch event and celebration a few days later. Greg Piper MP, Council staff, and local residents attended to mark the significant milestone. The event was covered in the Lakes Mail, and the Newcastle Herald. The footpath creates a safe connection for residents and visitors to access the Toronto town centre, and makes this pedestrian route accessible for people of all abilities and those with prams. It will also help keep more cars from contributing to local traffic problems. This was a major milestone, and the culmination of three decades of concern and lobbying by local residents!